We've been waiting twenty years for a really, really good Chinese resto in our Enmore\Newtown neighbourhood. 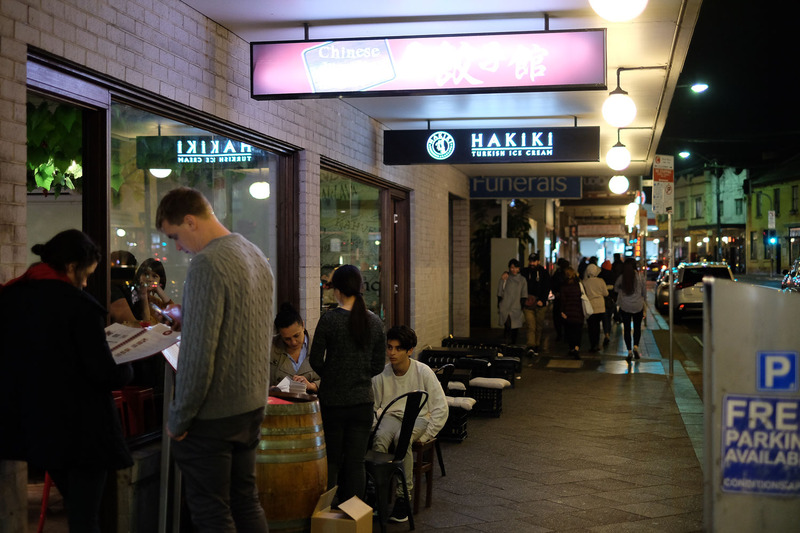 Then Chinese Dumpling Master appears on Enmore Road, complete with handmade noodles, plastic grapes on the ceiling and even beers in the fridge. It's a dream come true. Google tells us Chinese Dumpling Master is run by the folks from the ever-popular Chinese Noodle Restaurant in Haymarket, which explains why this place has been jam packed from day one. 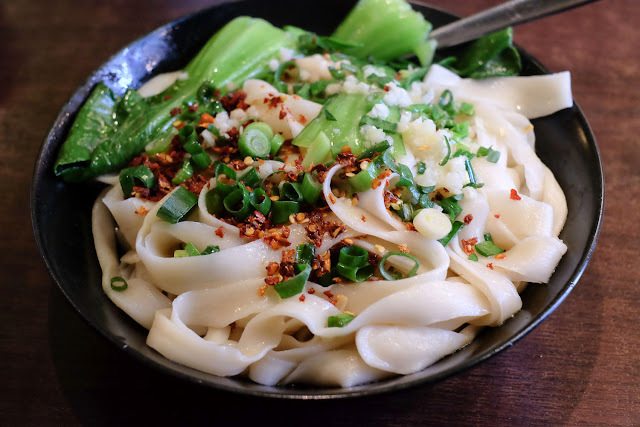 Noodle with fragrant spicy sauce - $12. A single dish told us this place kicks buttocks - we could have ended the post here. Handmade noodles lubricated with a bit oil, garlic and chili - a magic combo of stodge and umami. We see and hear the bloke out the back making the noodles by hand, no machines, with an almighty thwack as he beats the noodles into submission against the bench. This is proper Chinese food that you would get in Chinatown or Chatswood, we're so happy to have this up the road. We only hope is that the food doesn't get whitewashed or Merivaled over time due to it's mostly western audience of bright young things and young families, all the more reason to get in now. Combination dumpling - $8.80. This mystery pick is a good punt, the eggplant was the standout for us. 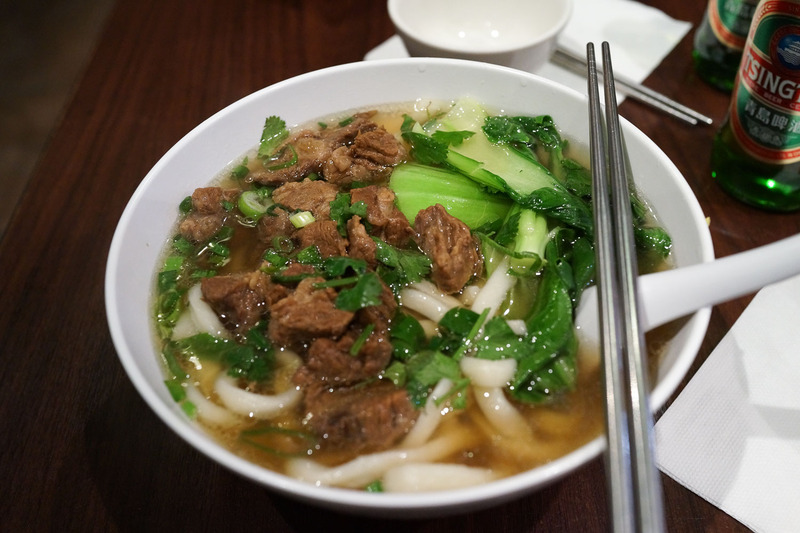 Braised beef noodle soup - $12.80. Chumpy, toothsome handmade noodles in a gently, soul restoring broth and chunks of beef brisket. 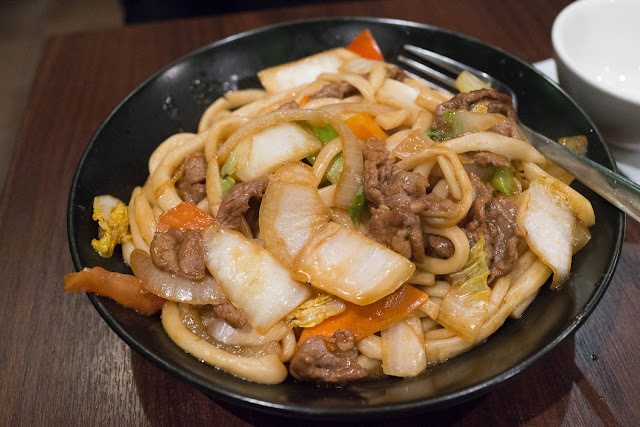 Xianjian fried noodle with lamb - $13.80. More chumpy, toothsome, handmade noodles in mildly spice sauce with some added umami from tomato. 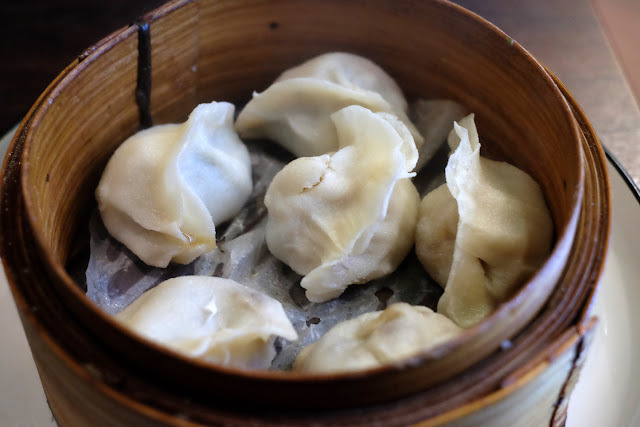 Chinese Dumpling Master is at Shop 2 /63-71 Enmore Road, Newtown. and recommend the fried eggplant! I like the last picture. Noodles, ice cream, then you die. You should both go to Pappas Stew on the other end of the burb. Really good stuff. And yah, this place is great.